Most of you read the explosive news in the last issue of The Daily Feeder, where I began to expose the serious health issues of eating GM (genetically modified) foods. These issues have now been documented all over the world, and include sterility (can't have babies), cancer, organ failure, spontaneous food allergies, and most recently documented...DEATH! So why does the FDA keep blocking efforts to force labeling of GM products in our food? And why do we not hear more about this top priority issue in the mainstream news? The answer is simple and shouldn't be a surprise to anyone...MONEY! Yes, there is a revolving door between government regulatory positions and high paying positions within corporations like Monsanto, who than use this undue influence (corruption) to help keep the rules stacked profitably in their favor...to the great risk of all of our health. 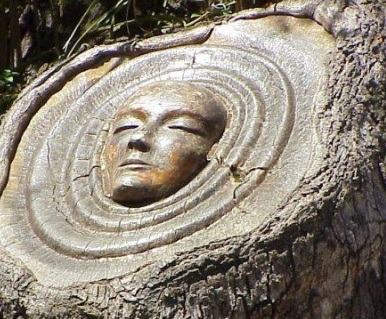 I don't want my gardening website to become a political soapbox, but it seems the whole population of this country...and the rest of the world...are being pushed against the wall and forced to fight if they do not want to be "soft-killed" by greedy, immoral corporations. Just Google and watch "The World According to Monsanto" for a very eye-opening look at the problems we face. Time to Plant the Garden! It's time to get that garden in! If TSHTF this year, you're gonna want food! I highly recommend garden items that can be stored long term, either by drying, canning, or root cellaring. Some of these items include shelling beans, peas, corn, and squash. For a real time and money saver, look up "oven canning" on the net. It's fast, easy, and very effective! No matter where you live, you should have your tomatoes and peppers started already. Far North in Ohio, you need to wait till about May 10th before you put your plants outdoors. If you live closer to beautiful North Carolina, the last frost date is generally April 15th and you should be planting EVERYTHING into your garden outdoors. Obviously, those of you even farther South have quite a jump on the gardening season. While spending time in Florida two seasons ago, I was able to start my tomatoes outside in January! New - Facebook Like Buttons! For all of you Facebook fans, I have finally added some Facebook "like" buttons to the website. In the top-left of each page, you can find a "like" button that lets you "like" the whole website. From time to time, I run into something that is just plain neat. 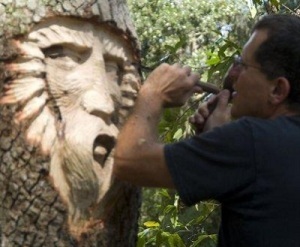 When I moved to North Carolina recently, I had the luck of moving right next door to a world famous wood carver! His name is Keith Jennings, and he is a featured friend of Jason's Indoor Guide this month. 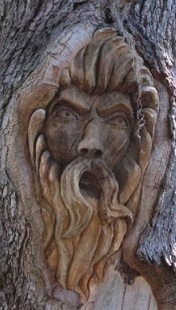 Keith started carving his "Tree Spirits" about 30 years ago, in a corner of Georgia known as Saint Simons Island. 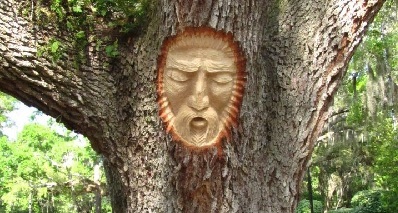 He has been returning ever since, and continues to add new faces around the island. In addition to the attention grabbing faces, he had done other works around the island....such as a life-sized concrete whale near a popular public beach! "The carvings themselves have taken on a life of their own," says Keith..."the rumor is they have been on the island for over 200 years" he adds with a little laugh. Anyone interested in seeing more of Keith's work, or interested in commissioning a piece, is encouraged to visit his page on Facebook. Like what you see? Let us know by clicking the button below! Better yet, forget favorite lists and email! 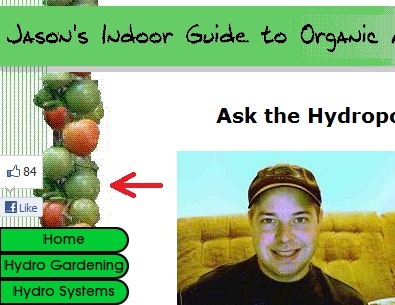 Have all the best hydro and indoor gardening information come to you in real time with my hydroponic gardening RSS feed.